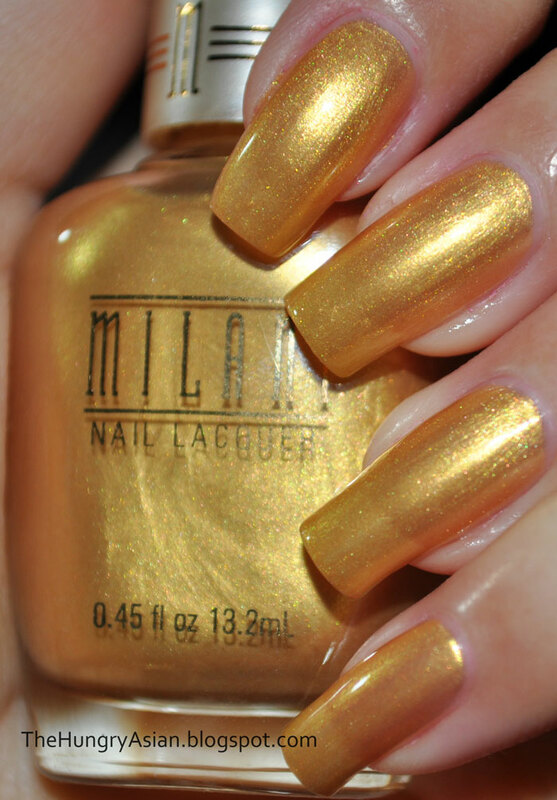 I have a couple of Milani Liquid Metal shades to review today. Drugstore nail polishes have really set the bar high lately. They keep up with current trends and I think they are great in quality and most are moderately priced (coughcough SH). 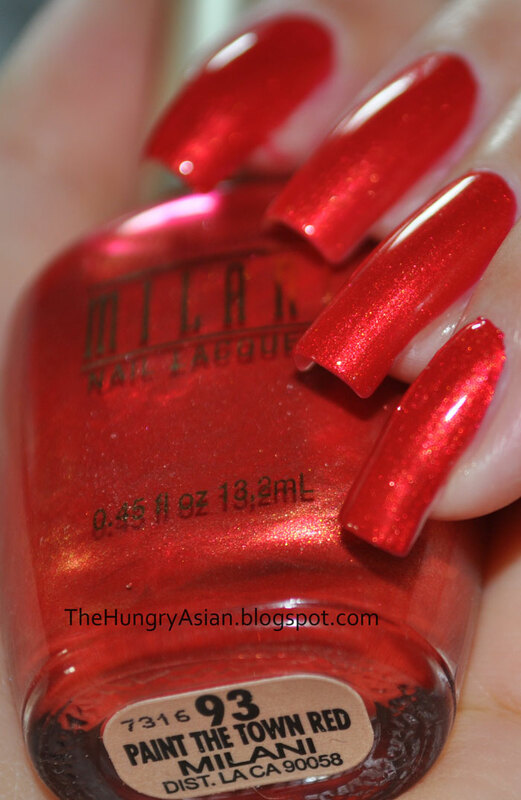 My favorite brands are Wet n Wild, Milani, Revlon and Sally Hansen. I love swooping in when they are BOGOF or 50% off! Ok enough rambling. Paint the Town Red 2 coats no topcoat. 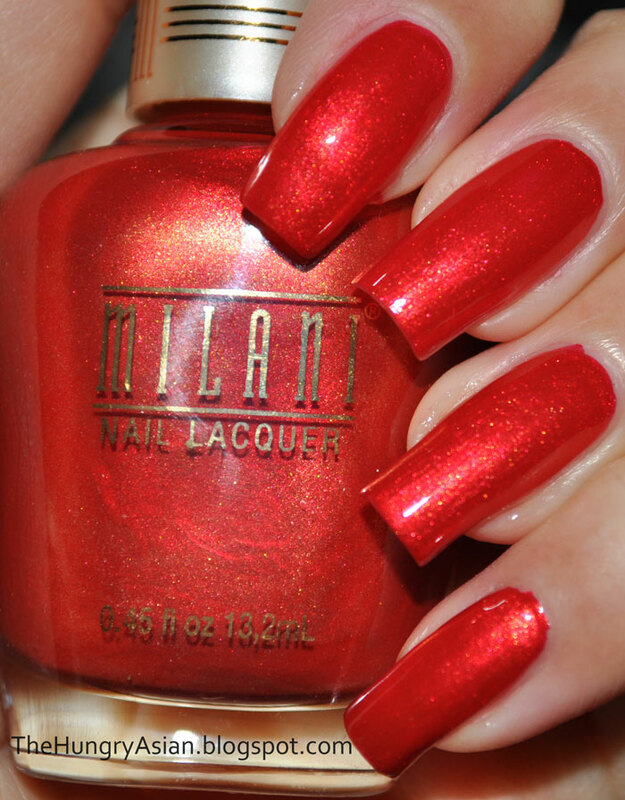 Warm shimmery/metallic red. These were hard to photograph they are so metallic! This one was very opaque I could almost get away with just 1 coat. It does have a lovely shimmer although not as obvious as you see on the bottle. The formula was quite thin but still easy to apply. It did not leave brushstrokes. Good Morning Sunshine, 3 coats with SV topcoat. 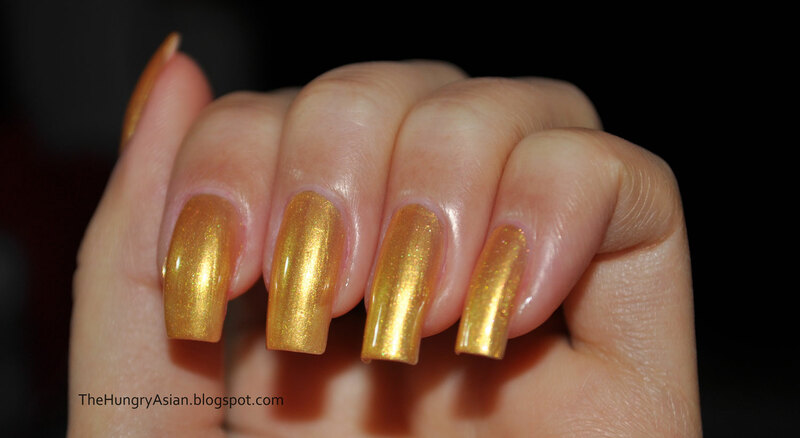 This color makes me think of old gold, or something antique. Unlike Paint the Town Red above this was very sheer and needed 3 coats, possibly could have used a 4th for full opacity. The formula was the same, very thin but still not difficult to apply. This one I believe was a little brushstroke-y but the metallic finish is very forgiving. I think this shade is pretty, although it's not right for my skintone. These retail for $4.49 at all major drugstores. I always go to my local CVS for Milani they seem to stock them a lot.